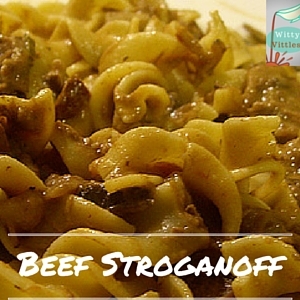 I don’t know about you, but I’ve always loved a good beef stroganoff. There’s just something about lean, tender beef in a rich cream sauce that really hits the spot on a cold night. The length of time spent cooking is what really helps the beef get tender. You can always add a bit of meat tenderizer before cooking for extra tenderizing power. Here’s the basic recipe to get you started. This classic Russian dish is the perfect treat for a cold night. You can serve this over rice or noodles. In a heavy skillet, melt the butter, and stir in the onion powder, garlic powder, red wine vinegar, and Worcestershire sauce. Add the beef and brown thoroughly over high heat. Bring the mixture to a boil, reduce heat, cover and simmer for about 30 minutes, stirring occasionally. Stir in the sour cream, nutmeg, salt, and pepper, and heat through. I almost always serve this with egg noodles because we really love them at our house. This is easily every bit as delicious over rice. Traditionally, beef stroganoff is made with sliced mushrooms. I don’t use them because my husband is somewhat allergic to them, but if you prefer to use them you can add them in during the 30-minute simmer stage, just after you brown the meat. Also, traditional beef stroganoff uses real onions (if you prefer to use these, brown them with the meat), but my husband hates onion, so I use onion powder in everything I cook instead. He doesn’t seem to mind the onion powder. Go figure. It must be the texture that bothers him more than the taste. You can switch up this recipe in other ways too, like adding green or red pepper slices…or even carrots. Have any other ideas? I’d love to hear about them in the comments!